Coast, countryside, and mountains, this region in southwest France has it all. With LUX-camp's mobile homes, you can get close to nature and still enjoy luxury camping. Contact LUX-camp to find out more. 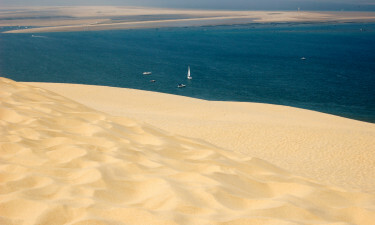 Camping Aquitaine - find your campsite here! Why should I camp in Aquitaine / Bordeaux? Aquitaine has been inhabited since prehistoric times. It was called Aquitania by the Romans, and belonged to England for a period that finished with the Hundred Years War. The influence of the Basque people, with their distinctive language and culture, can be seen throughout the region. 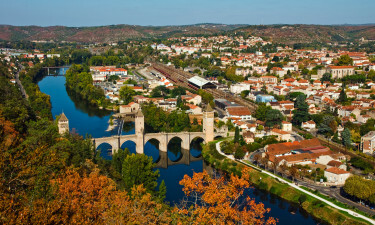 The Atlantic coast, the rolling countryside, and the imposing mountains make Aquitaine popular for camping and tourism. Close to the Spanish border and the Basque country, Sylvamar has a heated lagoon pool and is close to the beach, making it a paradise for swimmers. The holiday camping site is set in the peaceful surroundings of a pine forest, and offers activities from petanque to boxing. This huge luxury camping site has it all. The large aquatic area has seven pools for the whole family to explore and enjoy, a wave machine, and water slides. There is also a wellbeing area with a sauna, Turkish bath, and jacuzzi, meaning you can enjoy the ultimate pampering holiday! Near the bustling seaside town of Biarritz, in beautiful parkland, this campsite is a little gem. The scenic coast offers swimming, sunbathing, and surfing. Explore the heart of Basque country, try the local gastronomic specialties, and enjoy sports and activities including fishing, golf, and horse riding. The Basque coastline, with its sand dunes and steep cliffs, is the perfect place for a summer holiday. Walk or cycle along the paths, enjoying the views - but don't forget your camera - swim in the warm, clear water, or try sailing, surfing, and other water sports. In the nature reserves, rare birds can be spotted among the lakes and marshes. 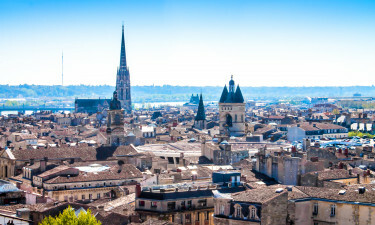 Bordeaux, on the Garonne river, is the region's largest city. Famous as a wine producer, it also offers historic buildings, museums, shopping opportunities, and an impressive lifting bridge. 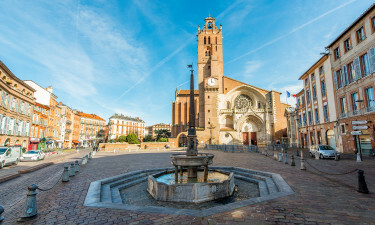 Other cities include Pau, with its panoramic views of the Pyrenees mountains, and the pretty spa town of Dax, with its Roman remains. The area is rich in prehistory. Marvel at the Lascaux cave paintings, or explore underground grottoes with stalagmites and stalactites. Explore the language and culture of the Basque people, or go on a wine or gastronomy tour to experience scenic countryside as well as tasting its products. There are castles to visit, tourist trains to ride, and, for the children, theme parks and water parks. Proximity to Spain in the south and the five distinctive departments that comprise the region give Aquitaine a rich and varied cuisine. Expect to find mussels and oysters on the coast, and mushrooms inland, including the prized truffle. The Basque influence is seen in dishes like piperade, while Bordeaux has its own speciality cake, the cannelé. Bordeaux and Sauternes are just two of the region’s famous wines. 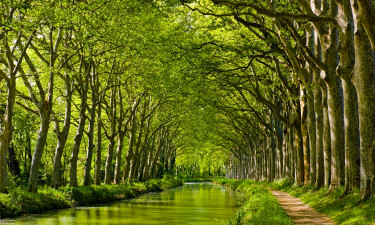 Aquitaine’s position in the southwest of France, bordered by the Atlantic Ocean, gives the region a pleasant climate all year round. The summers are comfortably warm without getting too hot. The spring and autumn months are warm, too, making this area ideal for an off-peak break. Expect plenty of sunshine during your stay.